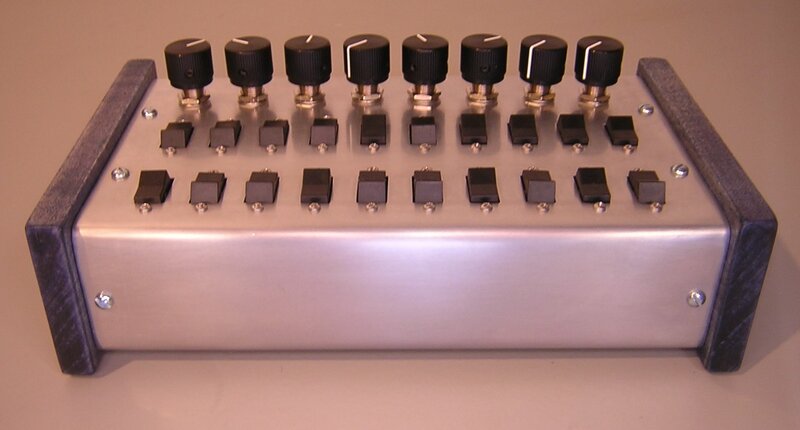 avrsyn is a digital synthesizer designed by Jarek Ziembicki. It uses an Atmel atmega16 and a 16bit discrete r2r DAC. PCBs and kits are available from Elby Designs. I used a stock board but swapped the original atmega16 and 8MHz oscillator for an atmega32 and 16MHz oscillator. I didn't label the pots and switches because I think of the avrsyn as a "poor man's chameleon". The hardware is very generic: just a microcontroller with digital and analog inputs, and an audio output. 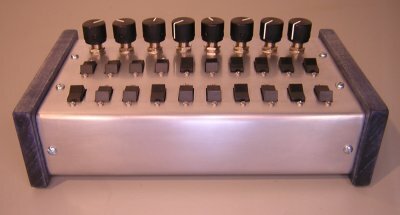 It is easy to write code that changes the synth architecture. I've been steadily adding features to the original avrsyn code. It's very much a work in progress, but you can download what I have so far. Remember that this code assumes an atmega32 running at 16MHz. The current version is avrsyn-2007.12.22.asm. Since there are not enough controls available on the front panel, some functions are controlled via MIDI continuous controller messages. Jarek Ziembicki created the orignal syn8535. 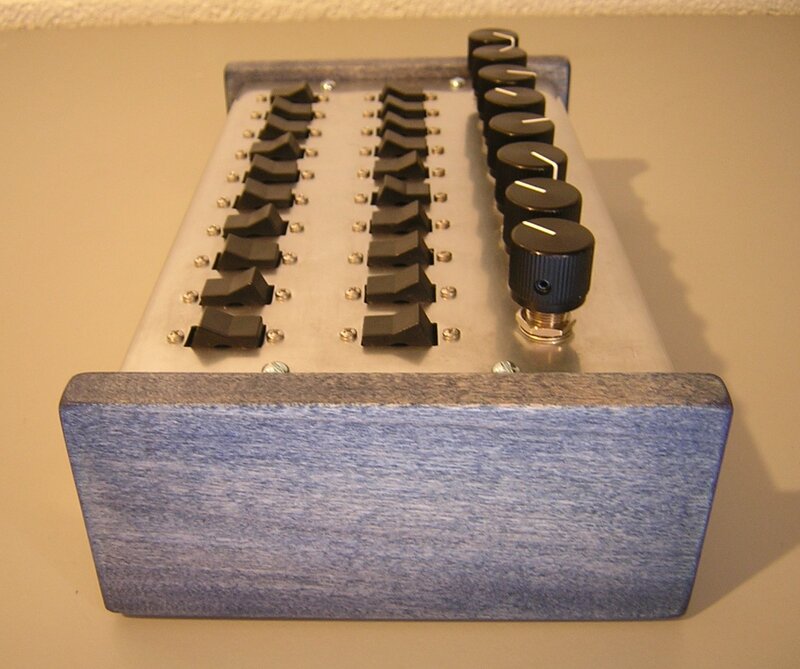 Paul Maddox had the idea to update the design to an atmega16 and have a run of boards made. Laurie Biddulph took the project over from Paul and offers pc boards and full kits.